I came up with a very shimmery tag to enter into Tag Your It! Challenge this week. CAS can be shimmery, right? The challenge is based on this great design by Leigh Penner. I like how her word dies go ever so slightly off the tag. 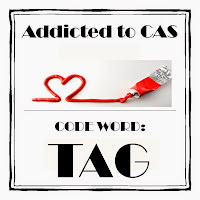 I'll also put it in for Addicted to CAS where the code word is TAG. I used some shimmer navy cardstock as a base and die cut the word merry (Wplus9) from the bright, sparkly, striped paper (12 x 12 sheet that I got at a garage sale for 10 cents - score!). 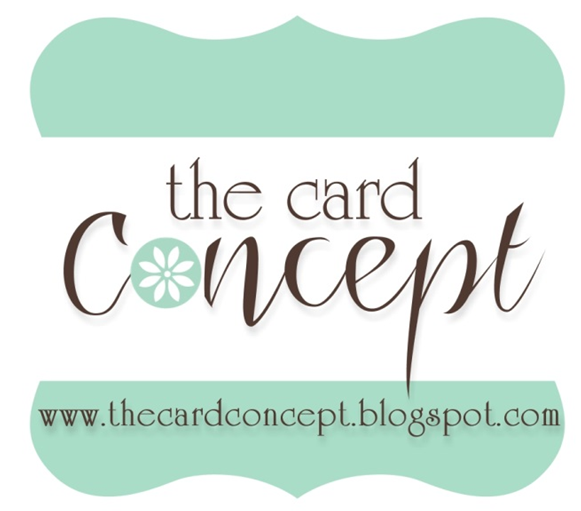 I cut another merry from plain white cardstock to fit in as a contrasting color. 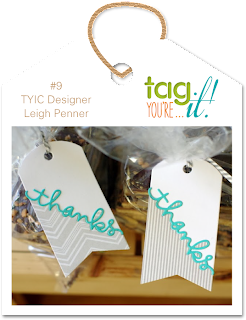 The tag die that I used is PTI's tasting tag so it has 2 holes on the right side so you can tie a spoon to the tag. I didn't want the holes to show so I attached 3 dots I hole punched from the pattern paper to cover them up. Christmas (Wplus9) was embossed with white. I think you can't just make one tag when you die cut like this, so I made a second tag while I was at it and I used sequins instead of punched dots to cover the holes. 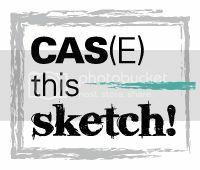 It's definitely not CAS! I'm toying with the idea of adding a third merry, cut out of the blue shimmer, and gluing it over striped paper in the bottom. Karen all the sparkly goodness is awesome. Thank you so much for joining usu at Tag You're It! Such cheerful tags! Love the bright colors and great design. Thanks for playing along with the Tag You're It Challenge. Oh, I love this! 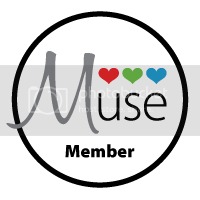 Perfect take on my tags! So fun & fabulous! what a fun tag...well done! Those glittered stripes are fabulous! Lovely tag - Thanks for joining in at ATCAS! So very creative :) love the selective shimmer on the stripes. thank you for sharing with ATCAS!